is professor of philosophy at the University of Warwick in Coventry, UK. Her latest book is Conscience and Conviction: The Case for Civil Disobedience (2012). Great loners are fascinating. Henry David Thoreau at Walden Pond, Buddhist monks in their hermitage, and fictional heroes such as Robinson Crusoe are all romantic figures of successful solitary survival. Their setting is the wilderness. Their apparent triumph is the outcome of grit, ingenuity and self-reliance. The great loners embody an idea of freedom from the vagaries and stresses of social life. As human beings, we are vulnerable to each other’s moods, proclivities, ideologies, perceptions, knowledge and ignorance. We are vulnerable to our society’s conventions, policies and hierarchies. We need other people’s blessing and often their help in order to get resources. When we’re young and when we’re old, we are vulnerable enough that our lives are happy only if other people choose to care about us. No wonder then that Robinson Crusoe is one of the best-known novels in history; there is solace in the hermit’s self-governing independence. But this romantic image of the eremitic life rests on a mistaken idea of both the great loners’ circumstances and the nature of social isolation. Famous hermits, both in real life and in fiction, are always male. They tend to be young, fit and healthy. They tend to have no children and no spouse. They model a rugged yet reflective self-sufficiency that only a few could emulate. What’s more, in the details of their stories, we find evidence that they are not wholly self-reliant. 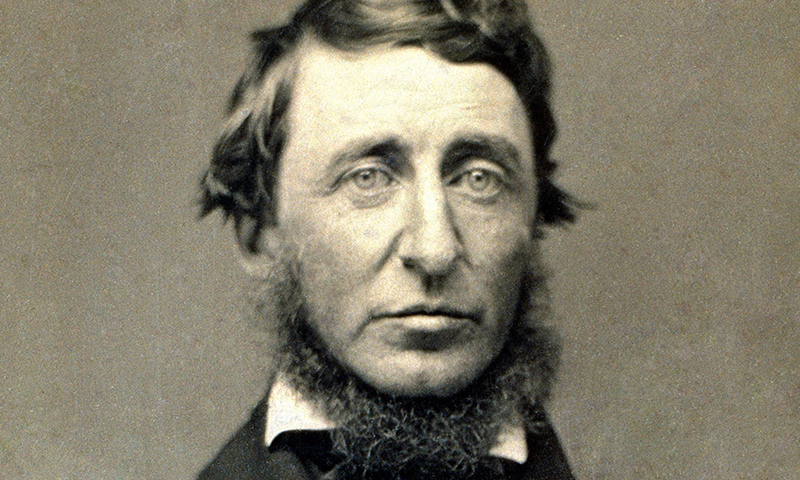 Thoreau’s Walden Pond is only an hour’s walk from Concord, Massachusetts, and Thoreau visited the town regularly during his years in retreat. He also always kept three chairs ready for guests (one chair for solitude, two for friendship, three for society), and he observed that sometimes there were 25 or 30 souls under his roof. Buddhist monks, while they might remain silent for months at a time, are supported and fed by their disciples and the laypeople. Moreover, they undergo years of training before retreating into solitude, much of which focuses on cultivating deeply social states of heart and mind such as compassion, loving kindness and joy at others’ happiness. Even Ibsen’s Dr Stockmann draws his wife and daughter close to him while he declares triumphantly that the strongest man is he who stands most alone. One real-world hermit who seems to be different is Richard Proenneke, a retired military carpenter and amateur naturalist, who lived alone at Twin Lakes, Alaska, for close to 30 years. He recorded his life there in video footage that was later used to make the documentary Alone in the Wilderness (2004). At intervals, Proenneke received supplies from a bush pilot but, during the winter, his cottage at Twin Lakes was often inaccessible, leaving him entirely alone. Of course, Proenneke, like the other great loners, had both a sophisticated set of socially acquired skills that made a solitary life possible, and that tough but rich wilderness as his backdrop. The wild is a source not only of sensory stimulation, but also of interspecies sociality. In the natural world, the great loners find companions. Proenneke had a pet bird. He also observed the movements of many species. Robinson Crusoe had a dog, two cats, some goats and a parrot, and later a human companion in Friday. And another Crusoe-like character, the runaway 12-year-old Sam Gribley, the protagonist in Jean Craighead George’s children’s novel My Side of the Mountain (1959), takes a baby falcon from a nest, trains it, and names it Frightful. He also adopts a semi-tame weasel, which he calls the Baron. The same kind of anthropomorphising happens in the movie Cast Away (2000) where Tom Hanks, who appears to be bereft of all animal contact on a deserted island, personifies a volleyball by giving it a face, naming it Wilson, and later being genuinely grieved when he loses it. Real, relentless isolation is not at all romantic. Indeed, it is far worse than the stress of social life. In contrast with the success of military-trained Proenneke, the inexperienced hiker Christopher McCandless died of starvation in Alaska in 1992 after venturing into the wild alone with few supplies, a victim of the fantasy of the wilderness hermit. Moreover, the evidence from people who’ve endured unwanted social isolation – among them the US journalists Jerry Levin and Terry Anderson, who were held in solitary confinement in Lebanon as political prisoners by the Hezbollah in the 1980s – is heart-wrenching. Another political prisoner, Shane Bauer, who was held incommunicado for 26 months in Iran, described the black horror of his experience and his desperate desire to reconnect with other people, even with his captors. Such accounts are confirmed by a growing body of psychological evidence that indicates that supportive social contact, interaction and inclusion are fundamentally important to a minimally decent human life and, more deeply, to human wellbeing. For the most part, we need one another; we cannot flourish or even survive without each other. These fundamental needs are the ground for a range of rights that we neglect, but should not, including the rights to be part of a network of social connections. In our individualistic, western culture, where the romantic image of the great loner prevails, it will take some argumentative muscle to show that we should adopt a different model of the ‘strongest man’. We could start with the thought that true strength lies in exposing ourselves to others’ pain and suffering, in being open to intimacy, and in being touched by others’ needs, loves, hates and hopes. The strongest person might well be the one who makes herself vulnerable to others while being determined to survive it and become a better person for it. The strongest person in the world is she who is most connected.